The Social Generation - it’s not uncommon for popular gaming and esports titles to make the mainstream news. Prince Harry calls for popular game Fornite to be banned. Outcry completes an expected pattern in response to emerging youth culture. Fortnite forms a wider part of a social shift amongst young people. In recent years, the tone of the industries’ coverage has shifted dramatically. News headlines transitioned from tenuous links between video game violence and national atrocities to an appreciation of video games as a respected art form and even, in the case of esports, a recognised form of competition. The emergence of Fortnite has upset this positive trend; it is an anomaly in many respects. Fortnite lacks the artistic qualities that earned Red Dead Redemption II and God of War such critical acclaim (in addition to a range of BAFTA nominations) and is also without the clearly defined competitive scene that has started to garner the interest of sporting bodies. "That game shouldn't be allowed. Where is the benefit of having it in your household? It's created to addict, an addiction to keep you in front of a computer for as long as possible. It's so irresponsible. It's like waiting for the damage to be done and kids turning up on your doorsteps and families being broken down." Excessive gaming to the point of addiction is just another thing parents should be guarding against, alongside alcohol and drug use for example. How much time young adults spend playing games such as Fortnite is every parent’s own prerogative. Epic Games designed Fortnite to be fun and to encourage players to return to the game - does that mean it should be labelled as addictive? Consider that TV series and books with similar qualities are described positively as “gripping” or “page-turners” respectively. Prince Harry’s comments themselves are entirely unremarkable, representative of a wide demographic of social critics that seek to demonize emerging aspects of youth culture - just as society witnessed in the 1920’s when access to cinema became widely available to young people - and again in the 1950’s when the moral dangers of comic books were highlighted to fearful parents. This is nothing new. Five years ago, society’s biggest concern was the effect that social media was having on young people. 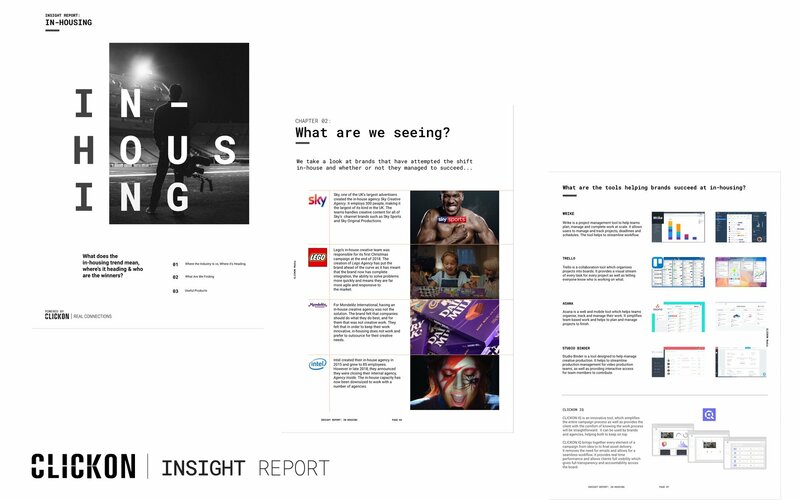 To that point, data compiled first-hand by CLICKON Labs (which can be found within CLICKON’s forthcoming esports report) suggests that games, such as Fortnite, are serving to eliminate social media, and its supposed inherent threat, altogether. As supported by our own data, far from being a destructive addition to youth culture, Fortnite is providing a safe environment through which young people can create friends and socialise. 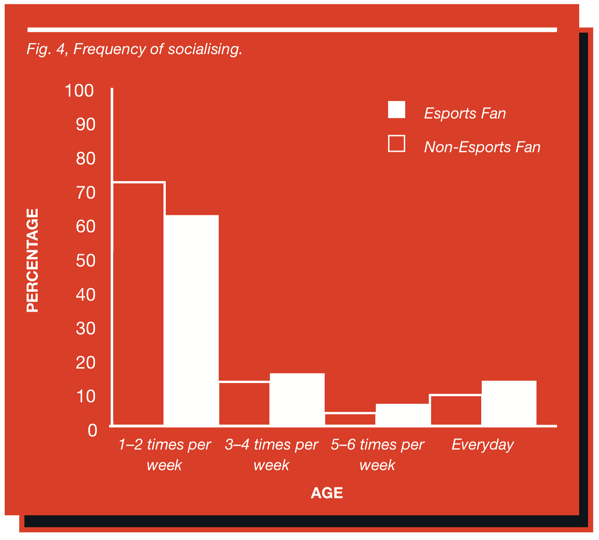 The esports fans we surveyed for our report indexed far higher for their frequency of socialising than non-fans; esports fans were almost twice as likely to socialise at least five times per week. The likely explanation for this is that gaming online with friends - playing games such as Fortnite, and using voice chat channels, is now commonly considered to be a social practice by gamers and esports fans. I would suggest that Fortnite - when played in moderation - is far from being a game that breaks down households, but rather one that builds up friendships.